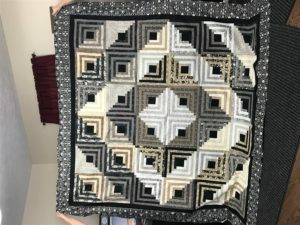 This is a picture of one of the quilts that will be featured in the “Victoria Room” that has a music theme. Whites, creams, and blacks. We are almost ready!. We can take bookings now!